One of my first projects at Workfront (then called AtTask) was to design an Android widget for logging time into the mobile app. I created mockups, tested them and redesigned some areas of the app, working with the remote Android team in Armenia. Using the UX Team’s pattern library, I created wireframes and a prototype for improving document approvals. We tested with internal employees, and then conducted remote tests with our users. 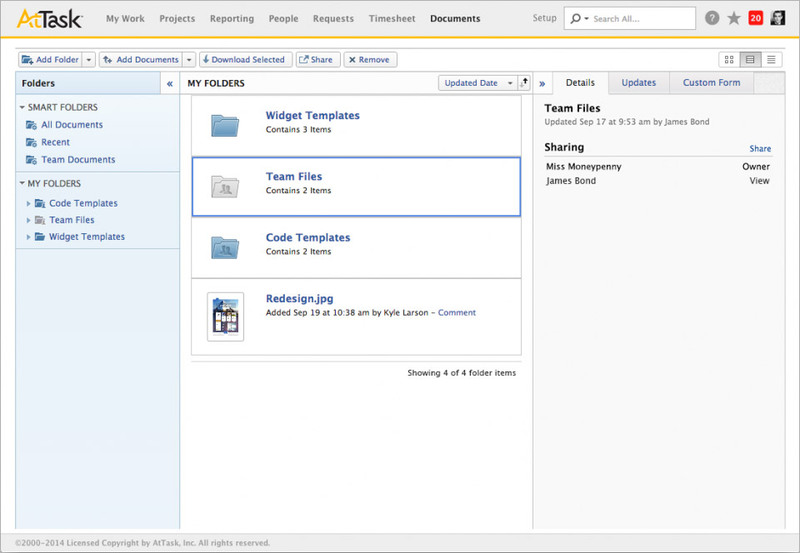 I worked with a product manager to add folder sharing into our document management system. During part of my time at Workfront I led UX in the reporting area of the tool. I worked to improve the existing charts and reports to help users better understand their data. Simplifying this chart included removing unnecessary colors, drop-shadows, text bolding, applying smarter sorting, and reducing the background color. 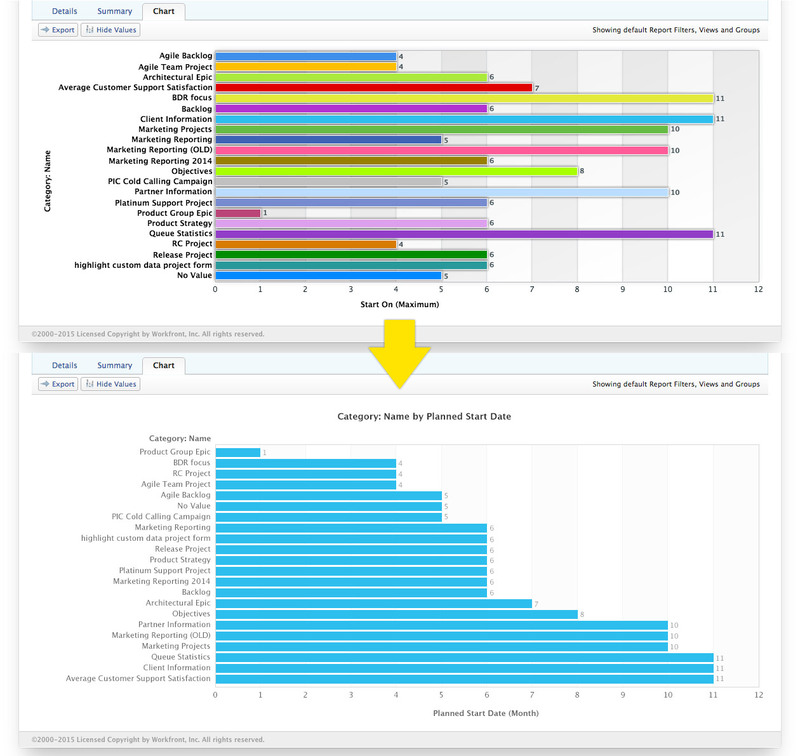 To optimize speed of report delivery we worked on a system of caching large reports. This was a complicated project that required working across all areas of the company including UX, product, development, and architecture.